1. Making sure your title is available for bookstores to order is an important first step. Bookstores don’t have access to all titles and, for corporate stores like Barnes and Noble, we can’t sell your title unless it’s in our system and available from one of our distributors. Independent bookstores are much more likely to be able to accept copies you bring from home, but each one is different, so it’s important to do some preliminary research. The more available your book, the easier it will be to make sales. Recommendation: before setting up a book signing, do research on how to get your title accepted into the bookstores you are considering. 2. Make sure your title is returnable (specifically for national bookstore chains). With literally millions of titles in publication, it makes sense that real estate in a bookstore is a high commodity. With so many titles vying for space, most bookstores are reluctant to order anything that can’t be returned, especially in the quantities required for a signing event. Recommendation: if your book has already been accepted into the distribution system, ask how to make your title returnable. I’m told it’s a fairly simple process, but be aware it isn’t a free service. 3. Bookstores typically don’t have a budget to promote your signing event. The hard truth of the matter is, bookstores are approached by countless self published authors who rarely make enough sales at an event to justify promotional expenditures. Even promotion for New York Times best-selling authors are supported by publishers, the authors themselves (yes, even highly successful authors promote their own events), and social media. There are exceptions to this, but be prepared to handle your own advertising. Recommendation: if you want people to show up, there are several things you can do – print flyers (or even better, bookmarks) for booksellers to bag-stuff ; ask if you can set up a display a few weeks early with the event info; boost ads on social media; or take out an ad in the paper. The opportunities are there, and go beyond what I’ve listed, you just have to be willing to put in the effort. 4. Take an active role in your signing event. Most events are schedules for high-traffic days, which makes sense because authors want to engage as many people as possible. From a sales standpoint, booksellers prefer this also. 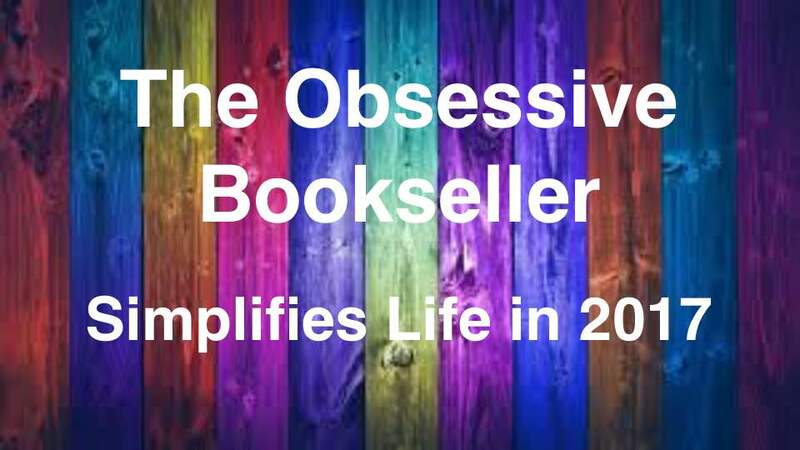 From a logistical standpoint, these days can be so busy that booksellers have a difficult time disengaging themselves from customer service long enough to give your event the attention it needs. Booksellers have the best intentions to set you up for success, but don’t always have the human resources to make it happen. Therefore, the more involved you can be in preparing for and setting up your event, the better. Recommendation: Promoting your book ahead of time is a great place to start (see #3). Arrive early and help organize your station. Anything you can bring to draw attention to your book is also helpful. I’ve seen authors show up with balloons, stuffed animals, posters, candy trays, and all other sorts of things to attract attention, and the extra effort usually pays off. 5. Your self published book is probably not going to be competitively priced. In the self publishing industry, there is a noticeable correlation between quality and price. Unfortunately, self publishing facilities don’t have the resources to print at a high enough volume to make the cost per unit competitive. You can sacrifice quality (to a degree) for a lower price, but overall cover appeal plays a role in your book’s marketability. Traditionally published trade paperbacks usually run from $9.99 to $14.99, whereas I’ve seen self published TPs anywhere from $15.00 to $30.00. It’s important to be aware of this disadvantage when asking people to take a chance on your title. Recommendation: there’s just no getting around the price/volume equation of publishing economics, which is why so many self published authors opt for digital publishing (or poor quality copies). The only thing you can do is consider your market strategy very carefully before going to print. 6. Booksellers don’t want to be hassled about your book. Meaning: save your soliciting for the customers. We know way more about what’s available to read than the average person and have already decided before we meet you whether or not we want to read your book. Talking about it with us is okay. Pestering us to read it is not. You want to leave booksellers with a general knowledge of your book’s premise, but you also want to leave us with a positive experience. Your goal shouldn’t be to sell to us, but to garner a good relationship. Recommendation: if you really want booksellers to read your book, provide a free copy a few months ahead of your signing. This gives employees a chance to check out the title with zero pressure and ample time to read it beforehand. This method usually gets the best response, in my experience. This, I have found, is the biggest difference between traditional and self published titles. The editing process of big publishing houses is more than just fixing grammar errors and running spellcheck. They invest tons of time and money getting a manuscript ready for market, which is why they’re so picky. They’re only willing to financially back projects they believe will make them the most money. It all comes back to the quality of the content. If you want any chance of standing out in an industry that publishes a million titles every year, recognize that producing quality content is the best way to generate positive word-of-mouth and gain an audience. Recommendation: “Read a lot and write a lot” (Stephen King). Study your market thoroughly. Attend seminars and workshops. Join a writing group. Acknowledge that your work is not perfect (no one’s ever is) but hard work can make a difference. 8. You are not entitled to an audience. This seems to be the hardest truth for any author to learn (myself included). Just because you wrote something does not mean others are obligated to want to read it. Literally anyone can self publish a book, but the mere act of doing so doesn’t guarantee you readers. It takes a lot of market awareness and research to produce something with mass appeal. Even if you’ve done your homework, attended seminars, and revised until the red ink ran dry, it still doesn’t entitle you to an audience. Recommendation: venture into the world of self publishing with a humble approach, a quality product, and rely on positive word-of-mouth and hard work to generate an audience. A sense of entitlement will only hurt your end-goal. As always, there are exceptions to every rule, but these are the eight things I found true more often than not. At the end of the day, your success rate as a self published author is in your own hands. If this article helped you in any way, my work here is complete. What you point out in your blog is very much what I have found as well. It does take a lot of perseverance, energy and confidence too. Thanks for sharing your insights. I’m a writer and publisher having written and published my first novel a few months ago. That’s awesome! I’m an aspiring writer and so I know how much work it takes to write a good book (not that I’ve finished yet haha). It was a massive but rewarding learning journey. Good luck with your writing.